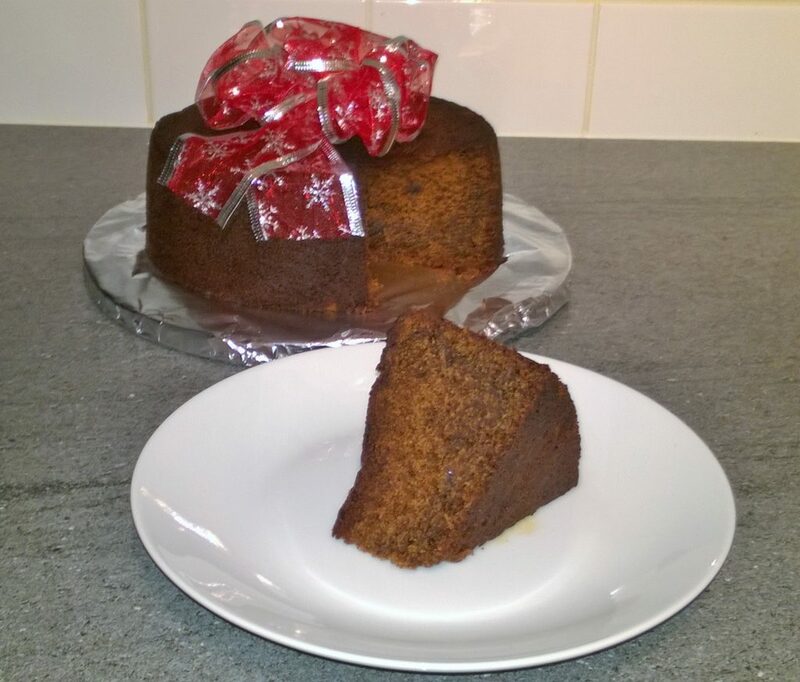 Jamaican Christmas fruit cake is different to other fruit cakes the fruit is blended in alcohol, so you get the fruit flavour without the fruit pieces and it is dark in colour also known as Jamaican black cake. This recipe was originally my mothers and I have adapted the recipe to make it vegan and gluten free. 1 Place the mixed fruit, glace cherries, red label wine and white rum in a blender, then blend for about 10 seconds until it is a thick textured pulp. Then pour into an air tight jar and store in a cool dry cardboard. Soak the fruit for the minimum of 24 hours, the longer you the better. 2 Pre-heat the oven on 160c/325f/gas3 and grease and line the baking tin with baking paper on the inside on the base as well as the sides and then grease again and set aside. 3 In a large mixing bowl add the butter and the caster sugar and whisk together, with an electric whisk, for 3 minutes; scrape the mixture from the edge of the bowl into the middle. 4 Then add the vanilla and whisk for another 3 minutes, until soft and fluffy, then add the browning and whisk together for another 2 minutes. 5 With a spatula scrape the mixture from the edge of the bowl into the middle of the bowl. 6 Then whisk and slowly add a little bit at a time the gram flour batter, until all the batter is mixed in. It may look a bit like it has split but it is ok.
7 Then sift in the flour, baking powder and ground mixed spiced. Then fold the mixture altogether until it has all come together with no lumps. 8 Then add the soaked fruit and fold in altogether. 9 Pour the mixture into a baking tin, 2 cm from the top of the tin, and smooth and place the tin in the oven for 1hr 30mins. 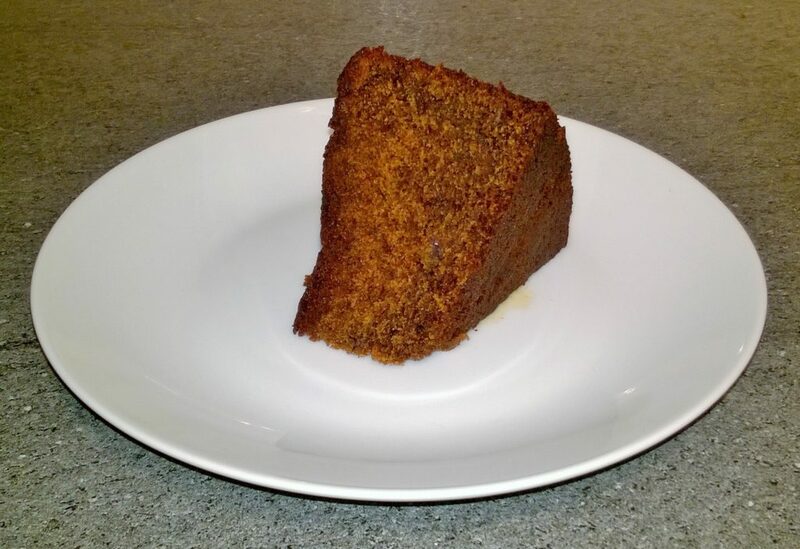 Test the cake with a knife if clean it is cooked if not place in the oven for another 15 mins. 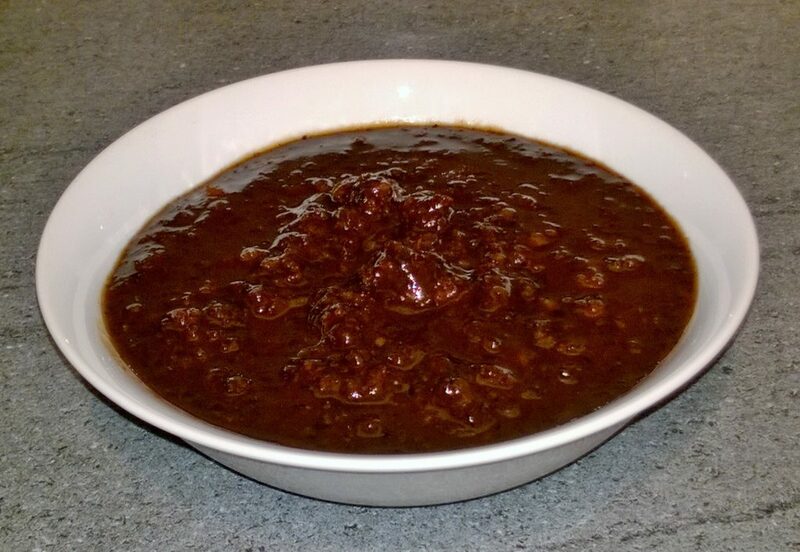 10 Put the remaining mixture in to a small lined tin, bake in the oven for 1hr. Test with a knife if it comes out clean it is cooked if not bake for another 15 minutes. 11 When the cake is cooked prick the caked with a metal skewer or tooth pick and pour the 3 tbsp of rum over the cake. Leave to cool in the tin on a wire cooling rack. 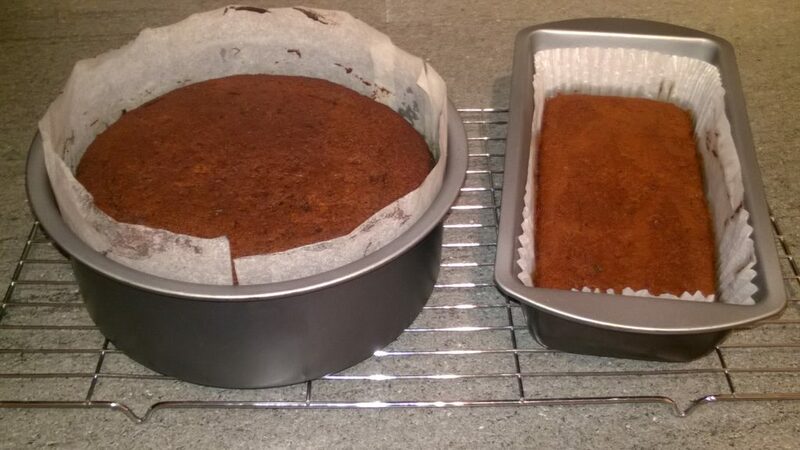 12 When the cake has cooled, turn the cake out of the tin on to a sheet of foil, prick the cake all over again and pour over 4 tbsp of rum and 3 tbsp of red label wine. Turn the cake over and repeat on the other side (do the same of the sample cake). 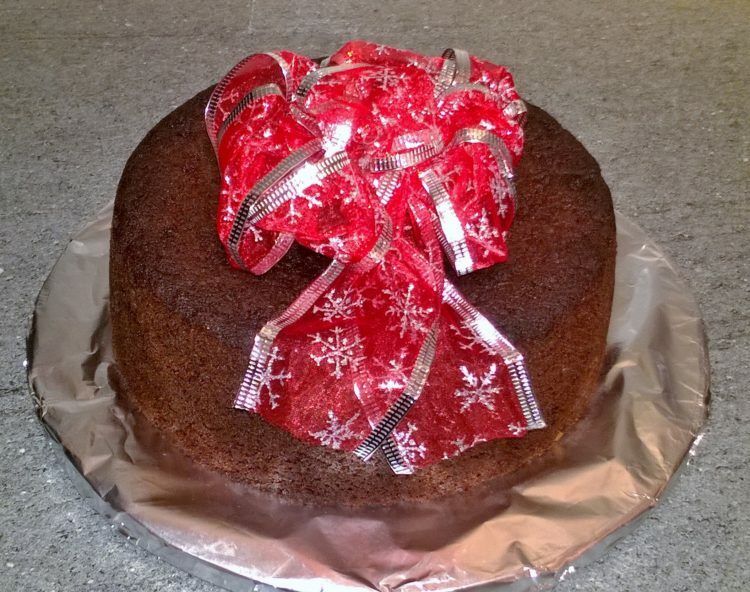 Then wrap the cake in foil and store in a cool dark place for minimum of 3 days so that the alcohol can soak into the cake. In the meantime you can eat your little sample cake. 13 Then after the minimum of 3 days the cake can be served and enjoyed. Tip: The longer you soak the fruit the better, this can be soaking for months in advance, just keep topping up with alcohol and giving it a shake. The cake can be made 4 weeks before needed, just feed with alcohol once a week. You could also use a 10-12 inch cake tin for this recipe and get one big cake (I just don’t have one and I like having a little taster/sampler cake), just increase the cooking time 30-45 mins.